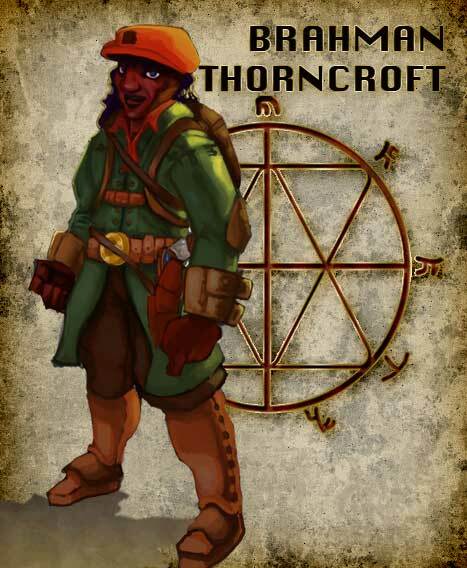 BRAHMAN THORNCROFT – An ex-member of MOSEAC, a Bio-Contriver for the ministry of science and an expert in the first piller of the Art of Adaptability – Torqueblade Torsion Training. The system of which had been inspired by The Uniter of Torqueadia, the pariyah Derwyn Dinas Llew, who became Derwyn Pen Llew the founder of the Grey Branch. Brahman, A witness to the murder of his colleagues and hunted by the Pathfinders, the militant arm of the church the known as the Black Branch. What do they fear he knows, why must they silence him?